The sale of bonds begins with an election to authorize a specific amount – the maximum the District is allowed to sell. The school District sells tax exempt municipal bonds to raise money for capital projects such as new schools. Bids are taken from interested buyers, usually large institutional investors – and are sold at the lowest interest rate offered. The rate is based on the District’s bond rating – the higher the bond rating, the lower the interest rate to sell the bonds. Principal and interest on the bonds are repaid over an extended period of time with funds from the debt service tax rate. How was the bond package determined? The bond proposal was developed with the input from a citizen-based committee representing all areas of the District consisting of parents, local citizens and school staff, who met to study the requirements of the District and prioritize the program. The committee analyzed data including, but not limited to: the long-range facilities plan, safety and security, the long-range technology plan, financial analysis, and other data. How will the security of schools be affected by the bond? Bonds for school projects are very similar to a mortgage on a home. To finance construction projects school Districts issue bonds which are purchased by investors. Payout is limited by law to 40 years. Current projections have United I.S.D. bonds being paid off in 25-30 years. What are the options if the bond election fails? The Board and administration have looked at various alternatives including increasing class sizes in all schools; implementing AM and PM sessions for students; adding portable buildings at schools that can accommodate them; reallocating maintenance and operations budget funds to furnish and equip schools and purchase portables; capping enrollment at campuses and sending students to other schools that have space. What curriculum and technology initiatives are included in the bond proposal? What has been the growth pattern in United I.S.D. over the past decade? A decade ago, the enrollment of the District was 30,710 compared to 42,921 for the 2012-2013 school year. This increase of 12,200 students reflects an annual growth of 1,221 students. What is the District’s current tax rate? The current tax rate is $1.194860 per $100 valuation. However, because of the $15,000 state homestead exemption and 15 percent local homestead exemption, homeowners with a $100,000 house in United I.S.D. pay taxes on a valuation of $70,000. What major school renovations will be funded through this bond proposal? renovation or additions at a cost of $30 million. In United I.S.D. major renovations include replacing or upgrading the following systems: HVAC, electrical, plumbing, energy management, fire sprinkler and alarms, and upgrading to current standards. What new schools are included in this bond election? What will be the impact of the bond funds on the District’s technology program? The technology funds will be used to accommodate new students and staff, replace aging technology, and increase access to technology. Why include repairs and renovations on the ballot? The District must maintain 44 campuses and other District facilities. 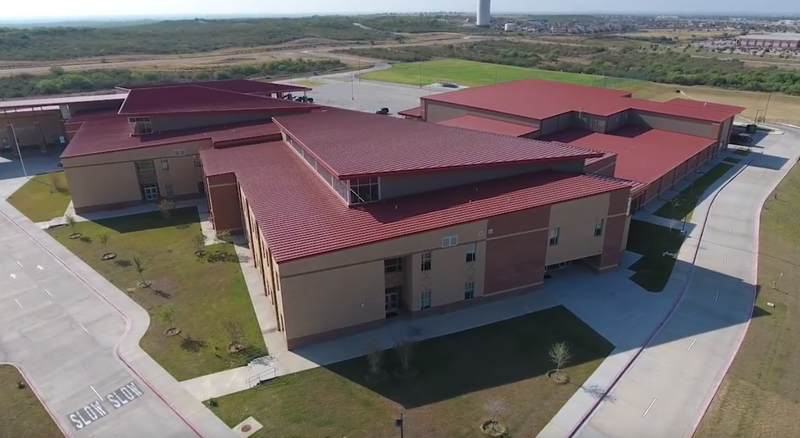 Major maintenance items for these campuses and other District facilities such as carpets, roofs, and HVAC systems, can cost the District millions of dollars. Spreading the costs over time, while not exceeding the life of the assets, has enabled the District, historically, to complete the work without significantly impacting the tax rate. Why was a high school on Mines Road not included in this bond referendum? Enrollment projections for the next five years indicate that United High School’s student enrollment will be at 4,380. United High School has capacity for this enrollment. In addition, United High School does not have any portable classrooms or teachers who float into classes. These alternatives can still be accommodated at United High School. Furthermore, our planning department has looked at the feasibility of constructing a high school on Mines Road and has determined that the student enrollment preliminarily projected to attend this new school would be small. Projections indicate that a high school can be supported within the next 8 years. Will the Bond affect teacher salaries? Bonds that are sold do not affect teacher salaries. By law, bond money can only be used for new facility construction, facility renovation, technology and major capital improvements. Will the Bond increase my taxes if I am 65 years or older? Not necessarily. The Texas Constitution, Article VIII, Section 1-d, provides for persons 65 years of age or older, who have a homestead exemption, to be exempt from tax rate increases unless new improvements are made to the home.